As the first quarter of 2019 comes to a close, we take a look at the helpful tips and information offered by our extensive partner network to guide multinational organizations and companies just beginning their global expansion toward better payroll and HR management. From harnessing the potential of data analysis to adopting integrated single-source solutions to exploring opportunities for process improvement, CloudPay and our partners work in step with our customers and each other to address the urgent and emerging issues facing global businesses today. Although the value of big data and analytics for global businesses is nothing new, organizations are still developing their understanding of the types and volume of information available to them. New analysis capabilities and applications are enabling business leaders to make better informed decisions than ever before, yet an important factor in becoming ‘data driven’ is just beginning to be explored: data variety. A recent blog by Ultimate Software outlines the difference between structured data, meaning highly organized datasets that are relatively straightforward to measure, such as rates of attrition or data errors per payroll run, and unstructured data—the kind of information that does not fit neatly into databases, such as the content of emails or social media posts. Citing an estimate by Gartner that less than 20% of all enterprise data is structured, Ultimate Software asks readers to imagine making critical business decisions based on just one-fifth of the pertinent information. Besides supplying the missing 80% of enterprise information, unstructured data can help business leaders and HR teams more accurately and throughly understand the issues impacting their workforce. The article highlights the potential of Ultimate Software’s employee engagement tool, Perception, to interpret free-form employee responses and supply organizations with detailed answers to their most pressing workforce questions. Looking ahead, such information could be instrumental in improving the employee experience and even help companies predict workforce trends. 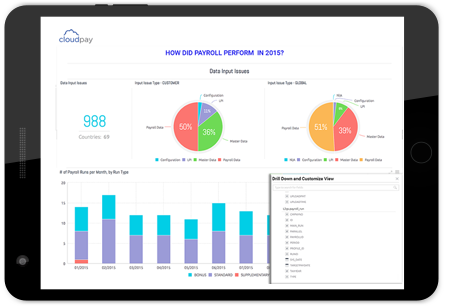 No matter how optimized your global payroll solution is, the year-end process of reconciling payroll means additional work under heightened scrutiny. However, it is possible to complete those reconciliations without the pain traditionally associated with this decidedly less-exciting year-end occasion. A recent blog from Kronos outlines three important steps payroll teams can take from the beginning of the year to help reduce the challenge of year-end reconciliation, starting with a debrief meeting to review existing processes, discuss what went well, and identify opportunities for improvement going forward. While sitting down to rehash the process may be the last thing your team wants to do in January, it could make all the difference a year later. To help, Kronos encourages teams to focus on the goal. Citing an EY finding that 54% of employers feel their current payroll processes have room for improvement, the article suggests two additional steps to help teams better manage the year-end process: proactively audit and balance payroll reports throughout the year and create an employee communications plan. As Kronos explains, the process of year-end payroll reconciliation really begins at the start of the year, and getting ahead of inaccuracies or issues as the year progresses can make the year-end process significantly easier on your payroll team. Multinational organizations of all sizes are waking up to the important distinction between data reporting and analysis, and the benefits to be gained from the latter. 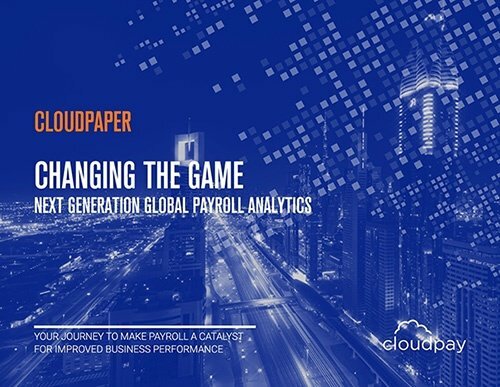 However, with nearly all software and service providers promising analytics, it can be a challenge to understand the capabilities available to your global payroll, HR, and finance teams, even before you try to apply it to your business. In fact, a recent blog from Sage People reports that more than 90% of HR leaders struggle to gain strategic insights from their data, an issue the HCM leader aims to address with what it calls People Science. Positioned as the end goal of a mature system for HR data analytics, People Science moves beyond basic analysis to not only gain insight into how workforce management impacts the broader organization, but actually apply that learning to the business strategy. Sage People maintains that People Science is an ongoing journey, and the blog offers three important steps companies can take to progress along that journey from reporting to insights and beyond: 1. Align business and HR KPIs, 2. Swap ‘lagging’ metrics for ‘leading’ ones, and 3. Go beyond KPIs to understand ‘why’. The goal is a greater understanding of your workforce, which can directly benefit the bottom line. As the blog reports, research by Deloitte revealed that companies at the highest level of People analytics maturity reported 82% higher profit over a three-year average. CloudPay welcomes new technology providers into our Partner Network on an ongoing basis. 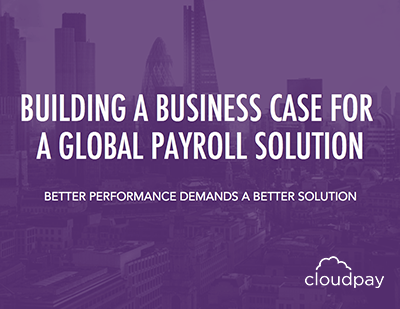 Contact us to find out whether your software providers partner with us, or to learn if your organization is a smart fit for a potential strategic alliance with CloudPay, a leader in global payroll.